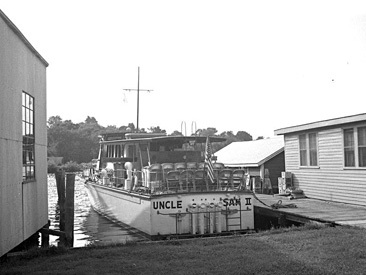 Uncle Sam had two lives. 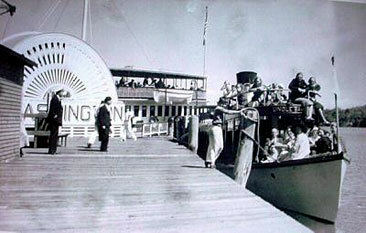 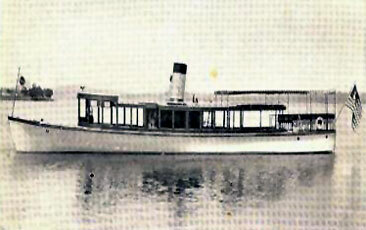 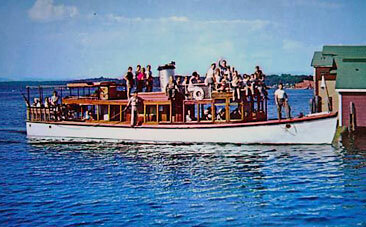 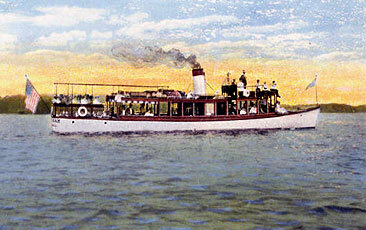 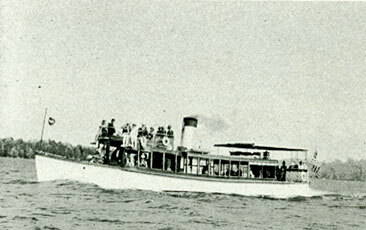 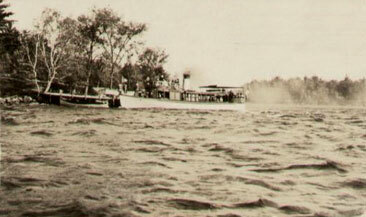 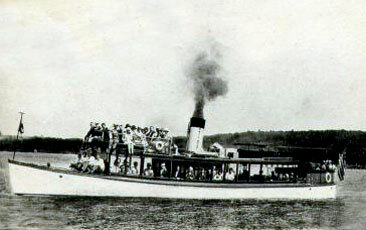 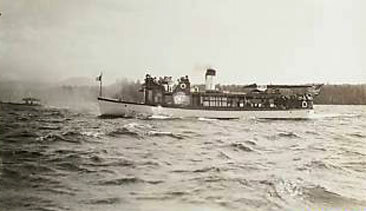 She was powered by a steam engine from 1906-1944, and by a diesel engine from 1945-1961. 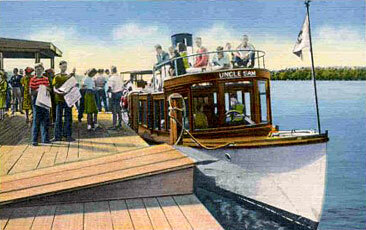 Uncle Sam is at the dock while the Sophie C departs Weirs Beach. 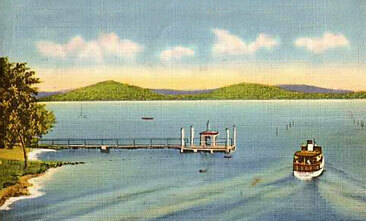 The Mount Washington is seen far out in the bay. 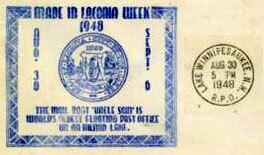 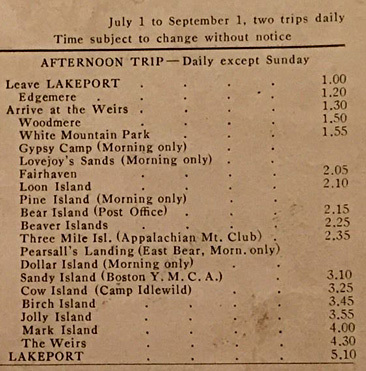 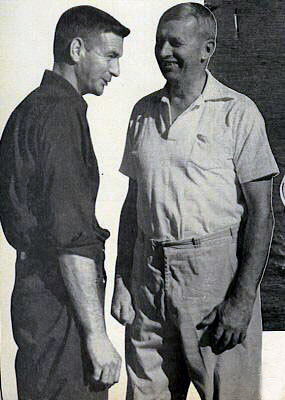 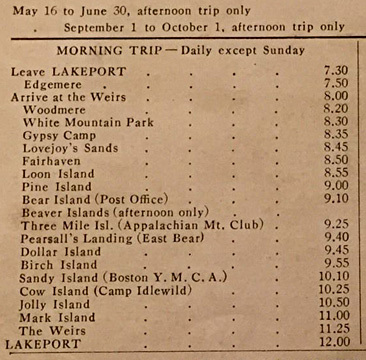 Above, a special cancellation stamp aboard the Uncle Sam during Made in Laconia Week (Aug 30-Sep 6, 1948). 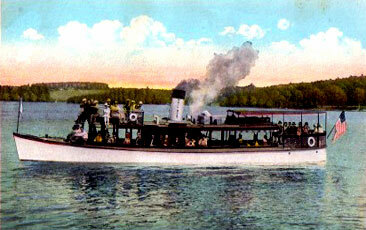 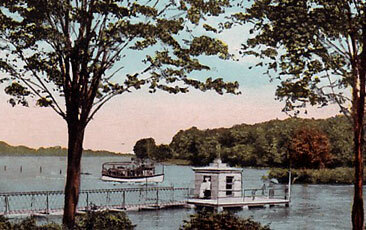 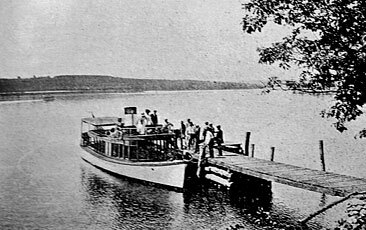 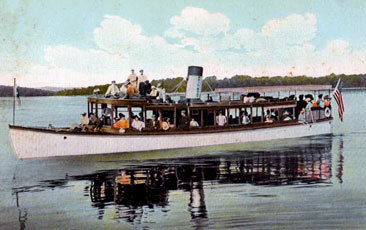 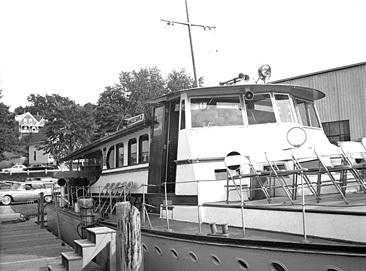 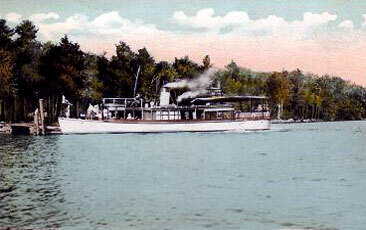 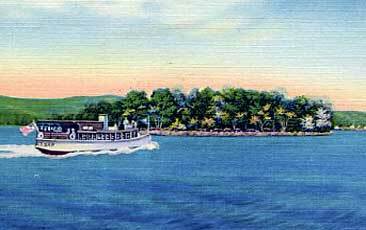 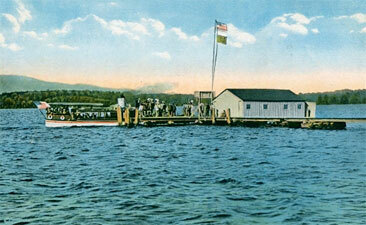 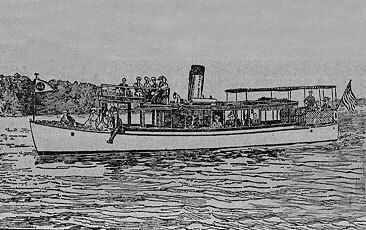 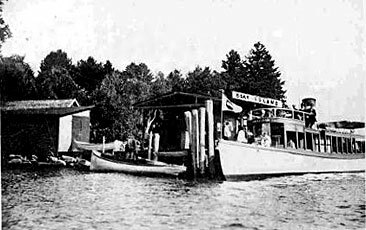 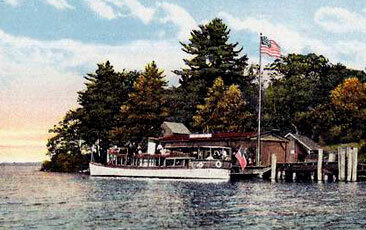 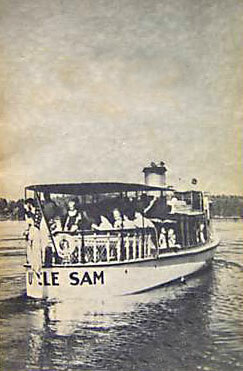 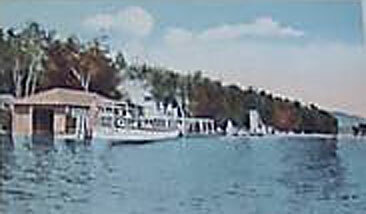 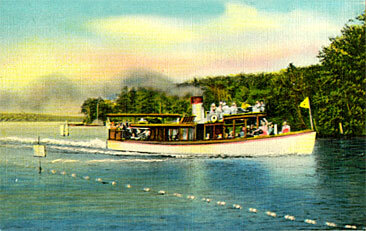 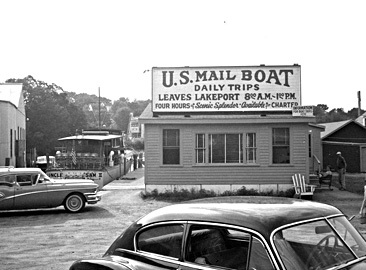 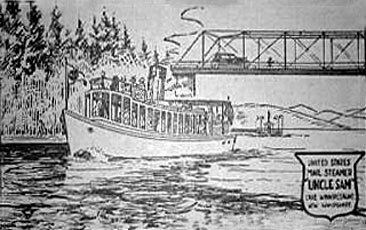 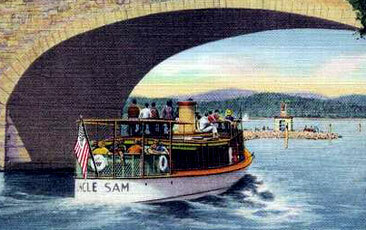 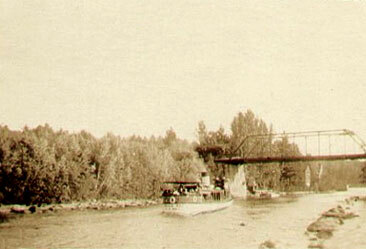 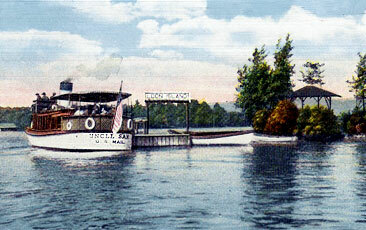 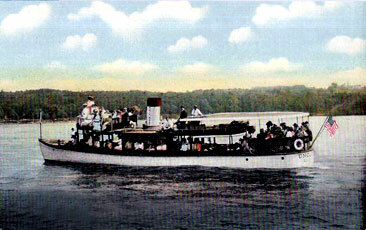 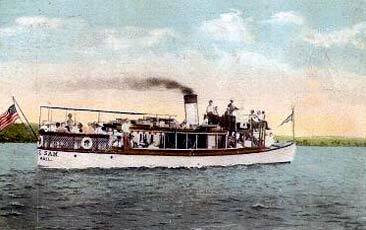 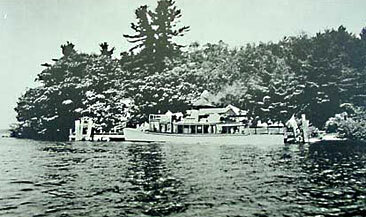 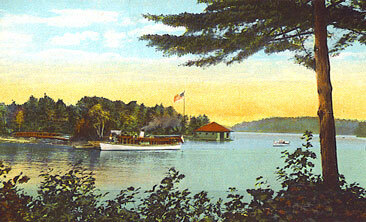 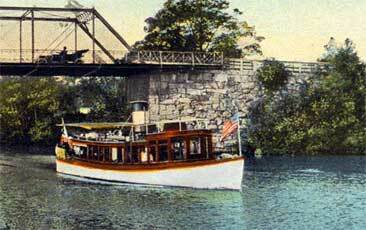 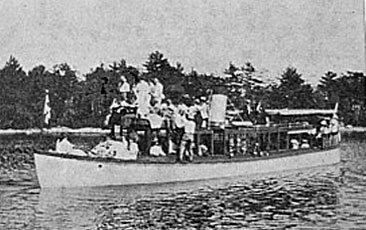 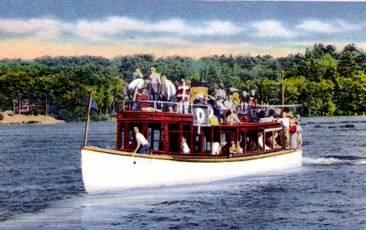 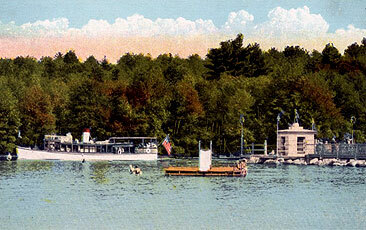 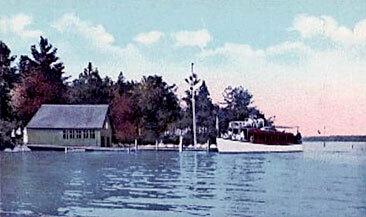 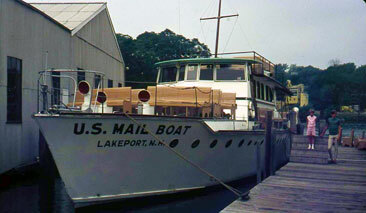 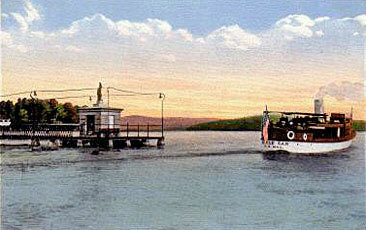 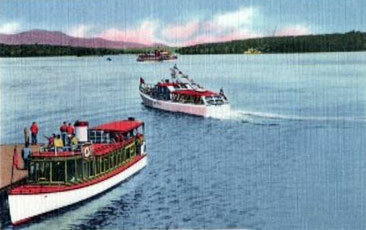 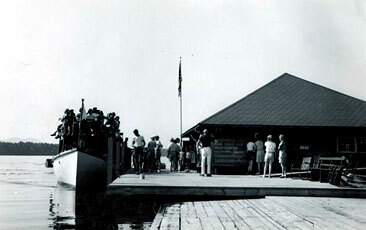 The stamp states that "The Mail Boat 'Uncle Sam' is World's Oldest Floating Post Office on an Inland Lake".